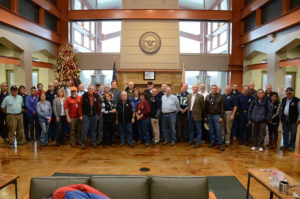 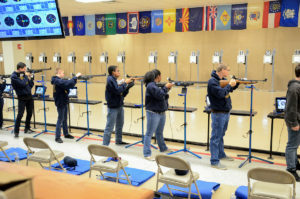 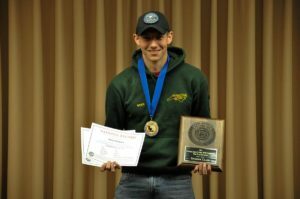 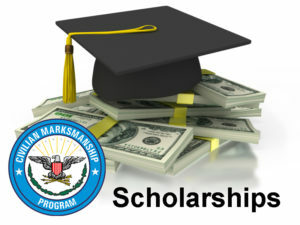 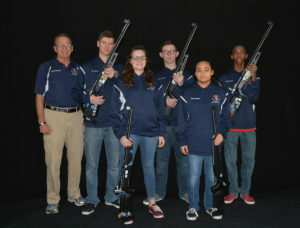 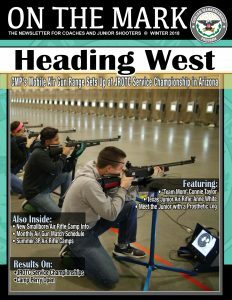 Air Rifle Marksmanship For Youth Brochure provides comprehensive, factual information for youth organization leaders and school administrators to consider when deciding whether to establish or approve rifle marksmanship programs. 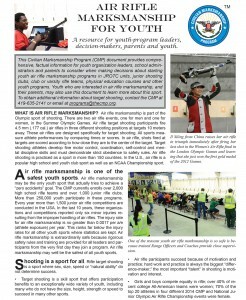 This document may also be used by youth and their parents to learn more about air rifle marksmanship. 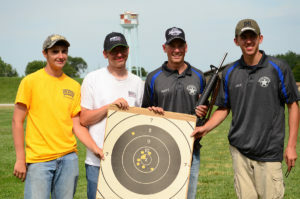 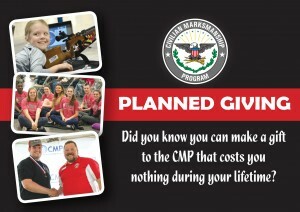 The CMP actively promotes Three-Position Air Rifle shooting as a premier youth marksmanship competition by providing low-cost equipment and pellets as well as training curriculum materials and competition activities. 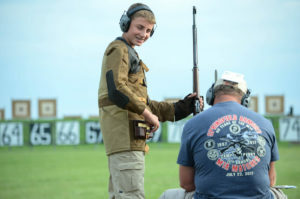 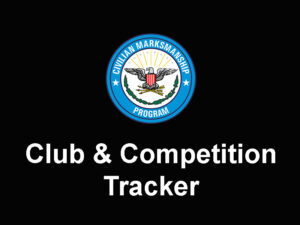 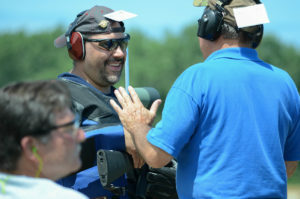 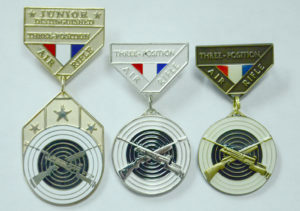 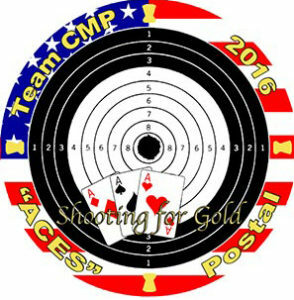 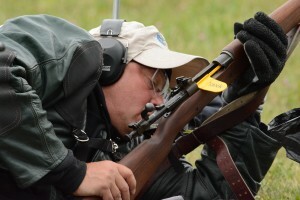 In addition, other air gun events for juniors and adults are hosted by CMP throughout the year. 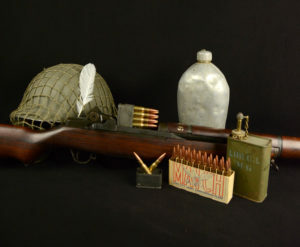 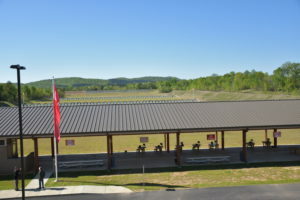 CMP facilities have Marksmanship Nights and matches for air rifle and air pistol take place at the CMP Marksmanship Centers. 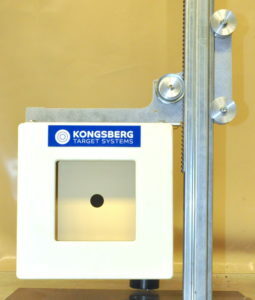 The CMP is the distributor of OpticScore Targets featuring technology by Kongsberg Target Systems. 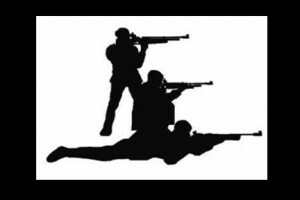 Find out more on our OpticScore Targets web page. 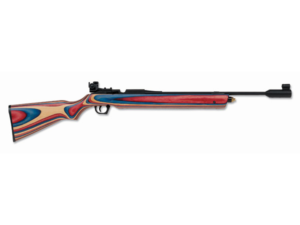 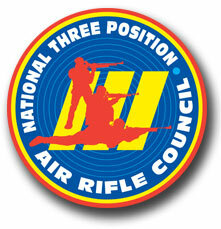 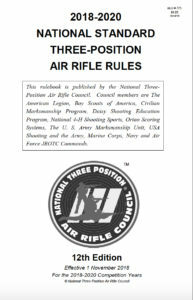 Please reference the pages on this web site to obtain specific information about Three-Position Air Rifle programs and activities. 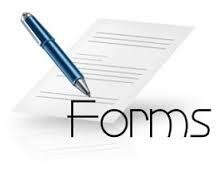 If you have questions, please contact us at [email protected] or (419) 635-2141, ext. 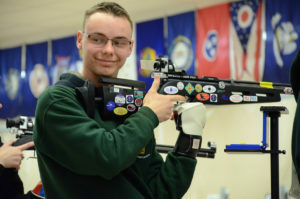 702 or 731.